At the dawn of the 20th century, a multi-generational family in the Gullah community on the Sea Islands off of South Carolina – former West African slaves who adopted many of their ancestors’ Yoruba traditions – struggle to maintain their cultural heritage and folklore while contemplating a migration to the mainland, even further from their roots. button. Off campus use requires a RIC username and password. Pulitzer Prize-winning journalist and professor Isabel Wilkerson looks at the "Great Migration" that took place from 1915 to 1970 in her book "The Warmth of Other Suns". 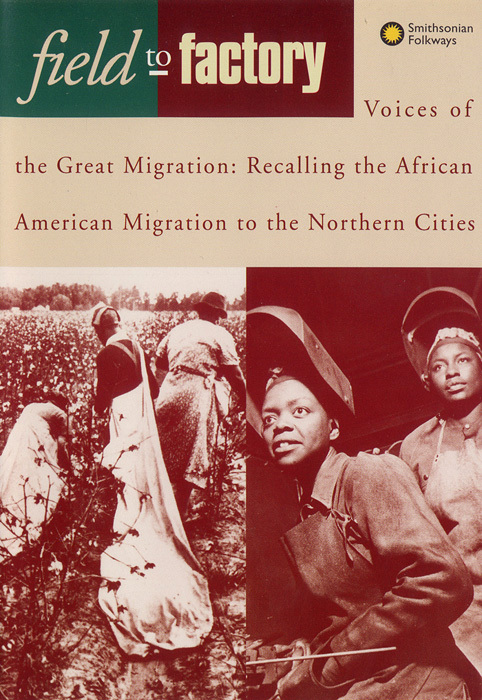 The migration involved 6 million African-Americans who left the South in search of a better life. Independent filmmaker Carla Wilson documents the exodus of black people from the inner-city, tracking folks from Chicago as they migrate west to small-town Iowa City, where they struggle to establish roots. Echoing the early 20th-century Great Migration of blacks from southern states to the Northeast and Midwest, this new migration is also about family-friendly housing, jobs, and the search for a better life. Iowa City is a self-identified peaceful community now facing new challenges: supposedly safe havens from urban life are increasingly attractive to the urban underclass, and as a consequence, these communities are compelled to redefine themselves in terms of race, class, and the urban/rural divide. Moving between narrated experience and social scientific data, local and the national scenes, history and immediacy, the documentary profiles a region in transition, providing public administrators, teachers, and private citizens new narratives for self-understanding and action. In the autumn of 1944, the mechanical cotton picker ended the South's need for people to pick cotton by hand. At the same time, Chicago's munitions factories were desperate for labor. So the great migration North to Chicago moved into full swing. A BBC Production. Today more than a third of the population of Chicago is black. It's a direct result of the Great Migration between the 1930s and 1970s when more than five million black Americans left the Deep South for "the promised land." The black tenement blocks of the South and West sides of Chicago are now battle grounds for America's most powerful gangs. They are among the most dangerous places in America. A BBC Production.